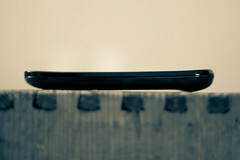 Image by Johan Larsson via FlickrDespite some claims, the Nexus S is not exclusively sold at Vodafone Germany. O2 takes the step and selling it unbranded(!). That makes many customers happy, which fear that it will take as long as on the Nexus One for updates. No more. Now we are counting the days to the release. No date set by now. Update: As you could see from the signature, I sent this quickly from the source. I just were at a store and they checked their internal system for me, and it's brand-new people, O2 is selling the Nexus S unbranded in the next weeks. And I got confirmation that it's unbranded, unlike Vodafone Germany, where I got also a confirmation today, that it is a branded device. However, at O2, it's the Super Clear LCD, too. So no hopes there. The information is now live at their website. It says March for the launch date.